Start your Pantone Kale wedding colour with your floral designs. Choose dense greenery like fern and plumosa to create a bed of greenery for your centerpiece flowers. Or, try ivy to create dramatic drapes from your bouquet or crowns for the flower girls. Another great option is eucalyptus. Which is a dustier shade of kale green and comes in lots of varieties. Consider a monochromatic palette – sticking to shades of green and white. Set next to pure white, this colour scheme is just stunning. If you’re looking for a slightly more casual look, maybe use bunches of green varieties in tin cans to create a rustic look. And try a tea length bridesmaid dress, like the charming one we’ve picked here in kale green that shows great details and tiny ruffles. 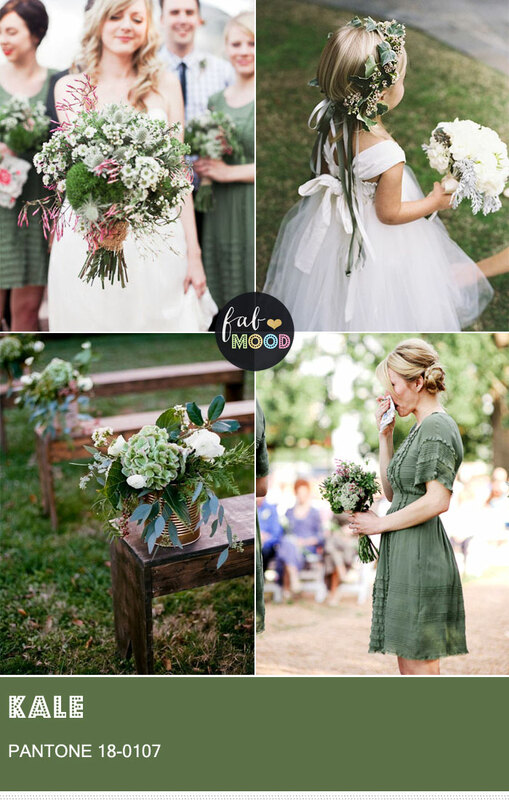 Looking beautiful with green colors flowers and nice dress up, thank you for sharing the blog.